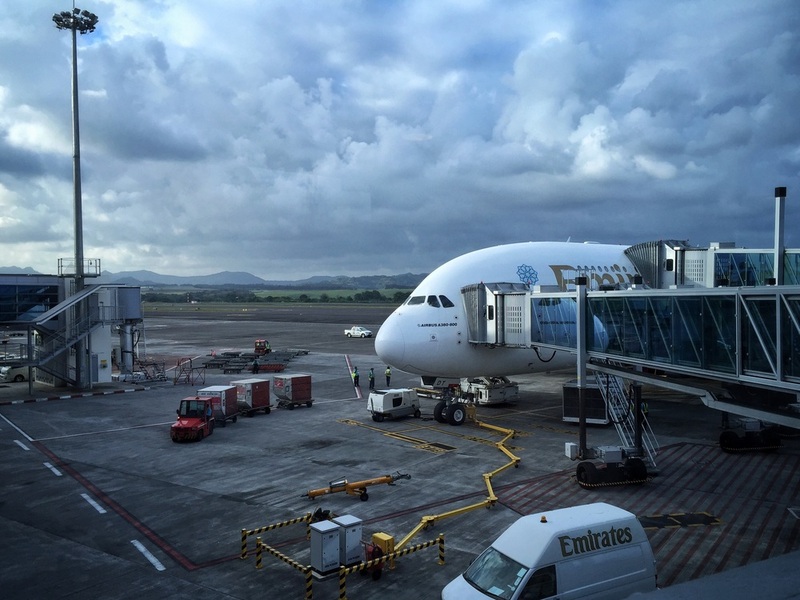 Though the departure from Dubai was delayed by about a half hour, the flight landed close to its scheduled time at Mauritius airport. When I walked out of the airport I was greeted by fresh air and a beautiful sunset but also a swarm of taxi drivers eager to pick up a fare. I really didn't feel like getting scammed right off the bat and was keen to stretch my legs and walk a bit. I didn't get very far before another taxi driver chased me up. Considering my lack of time I decided I'd take a short drive with this guy just to see a bit of the surrounding area rather than sit at the airport and stare at a screen. Mauritius really reminded me of Sri Lanka, just cleaner and wealthier. It shared many similarities to the clusters of shops, the people about, and the chaotic driving practices, among other things. It would have been nice to spend some more time in Mauritius, but I had other things on my mind, and was eager to get to Reunion Island. 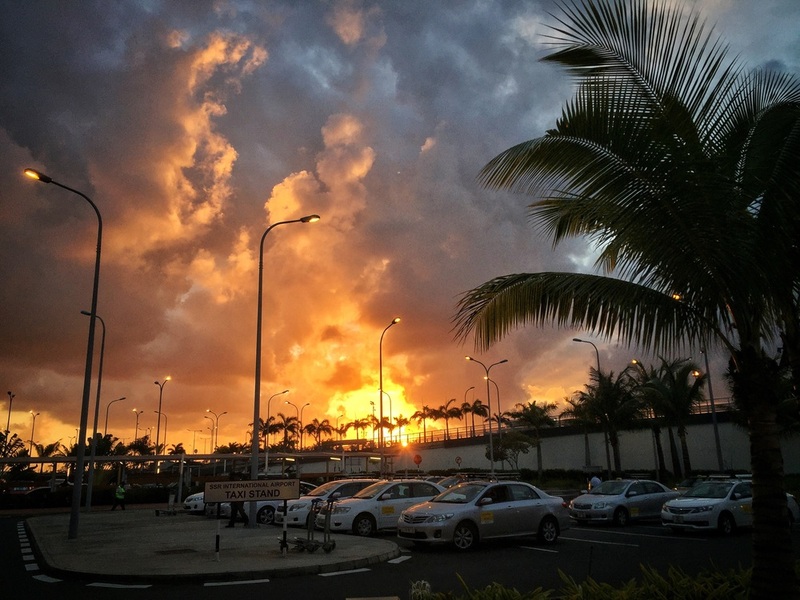 After collecting my luggage I walked out of the airport to be greeted by an amazing sunset!